With my first daughter, we severely overestimated the amount of purees we were going to give her. We found baby led weaning worked better for our daughter and for us. However, that left us with shelves full of baby foods with no where to go. I even sought out needy mothers or shelters to donate to, but found no one to take them off my hands. So I needed to find a way to put these foods to use. I hate waste after all! 1. Baby Pancakes - Pancakes are a tasty breakfast staple at our house. Adding in some fruit puree to your pancake batter will add some variety to the flavor of your pancakes. Check out our baby pancake recipe here. 2. Dip - Vegetables, fruits, crackers, toast, bread, cereal, pretty much anything your little one eats could be dipped into fruit or veggie purees for a little extra flavor and nutrients. 3. Mix it In - Fruit purees are perfect for mixing in to yogurt or cottage cheese for your little one. Banana berry puree mixed with a little Greek yogurt is a favorite in our house. Even I enjoy eating some of it! 4. Popsicle - Freeze portions of the purees for a tasty, nutritious popsicle without all the added sugar. As an added bonus, it also gives little ones relief if they are dealing with teething pain! Mix different packages to create tasty new flavors. 5. 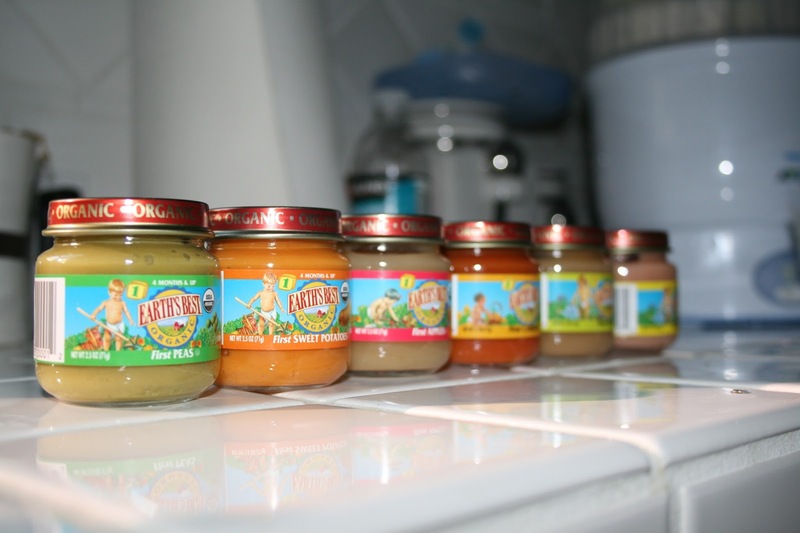 Sauce - Vegetable purees are perfect for adding in to sauces, soups or stews. It is a great way to fit in some extra servings of vegetables for the whole family.